I'm about to start a new job, change states, and move into a townhouse where the master bedroom is a huge room and has high ceilings with an attached sitting area to the side of the bedroom. I was wondering - can I use this sitting area as a music practice space? My instrument is large and made primarily of beautiful rosewood with a little bit of metal (I play the marimba). There is a spare bedroom, but it was smaller than expected. I had originally planned to use that as an office plus music space but after visiting the unit I realize it would be tight to put the instrument there as well as a desk (if the desk is to be in the command position), and I know I shouldn't put the office in the master bedroom. I'm not sure if having an instrument in the bedroom would disturb the peace or increase harmony. I'm hoping to start playing more as I stopped because of other life commitments. I also am single and want to be open to finding new romantic love. Thank you so much for your email! My husband is a musician; he plays clarinet! I asked him for his two cents on this too! First, congrats on the new job, the new move… the new home! All exciting stuff! My intuition says that the instrument would be better for you in the living room, or in a spare bedroom. The instrument is large and is part of your work. It holds a big place in your life, and you want to create space for a partner. It’s better to keep both the office and the instrument out of the bedroom in your case. Is there room in the living room? I think it would be ideal there because you’d see it more often, and hopefully be inspired to play it. The living room represents the more outward social aspect of your home. I think it would be great to play music with friends or in your social space. My husband also agrees, good to keep the musical instrument separate. He says music is social, so it’s great in the living room. Or dedicate a bedroom and just get a smaller desk and laptop. If really the only space you have is in the master, perhaps you can separate it out with a partition, curtain or bookshelf. But I really love the idea of having a spacious and open master bedroom to help to invite a partner into your space and life. When your spaces are all filled up, the universe sees that you don’t have room for anything new. However you want to find a new romantic love! So give the universe the signal - loud and clear - with an open welcoming bedroom. Be sure to also read the other posts on using feng shui for love, peach blossom luck and setting up a new home. These may all prove very helpful in getting comfortable in your new space! 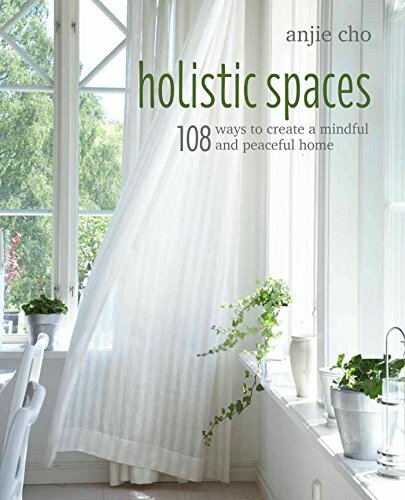 I look forward to hearing how you choose to design your holistic space, so please send photos once you're settled in!